You might have already noticed . . . The Color Run isn’t like other 5k runs. Getting ready for a race with colored powder throws and an official dance party takes a little bit of extra prep. 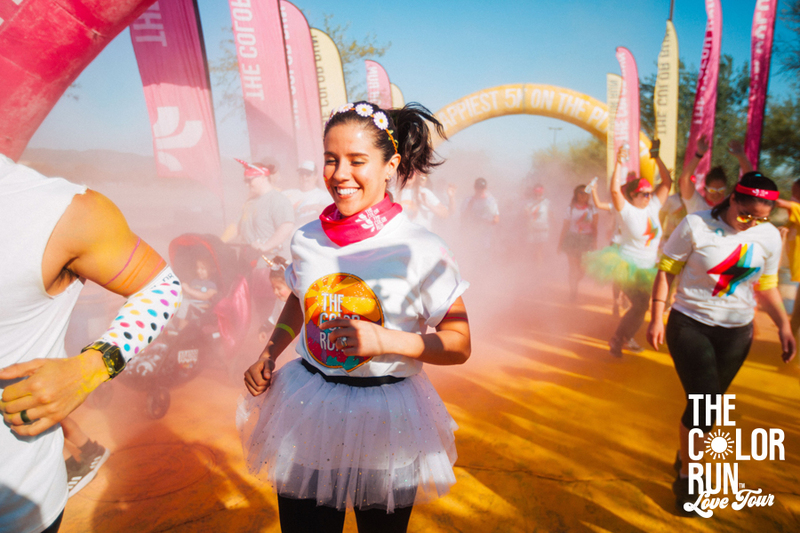 Whether you’re running with us for the first time or you just need a refresher, here are our favorite Color Run tips we’ve collected over the past ten years. Follow these, and we promise you’ll have a blast on our 2019 Love Tour! Bring a small sandwich bag for your cell phone. You’re gonna want to capture the color throws in all their glory. We get it. But since you can’t throw your phone in the wash after the race, keep it in a baggie to protect it from the powder. We promise--you’ll still be able to capture some killer photos. Wear a bandana and sunglasses. At each checkpoint along the course, volunteers will be standing by to douse you in a different colored powder. If you plan on getting messy, a bandana and sunglasses will help you keep the powder out of your nose, mouth, and eyes. If you order a GROOVY, GROOVIER, or FAR OUT registration, your participation kit will already come equipped with a tie-dye buff, which you can easily slip on and off your nose and mouth as you run. Bring a towel and baby wipes. The Color Run staff will be at the Finish Festival to help you clean up, but getting into your car after a Color Run can still be a little messy. We like to clean up with baby wipes before leaving the race and bring old towels or beach towels to throw down on the seats of the car before heading out for the day. With thousands of Color Runners getting ready to run, you’ll want to get there a bit early. We also recommend that you pick up your packet the day before the event, which will give you more time to participate in our pre-race warm-up the morning of the run (and save you five bucks)! It’s a party you’ll want to start sooner rather than later. Take “Before and After” photos. Start your morning by snapping a pre-race pic in your clean clothes, and get another photo after the race, once you’re covered in color. The before-and-after comparison is one of our favorite things we get to see on our Instagram feed! Run with your friends, your family, and/or your kids. The Color Run is an environment where everyone feels comfortable getting active, no matter their age or ability level. Whether you’re young or old, you’ll feel at home! Plus, kids under five years old run for free! The Color Run is more about making memories and having fun than worrying about your mile time! We love our runners, walkers, and dancers! Whenever you cross the finish line, there’s a party waiting at the Finish Festival. 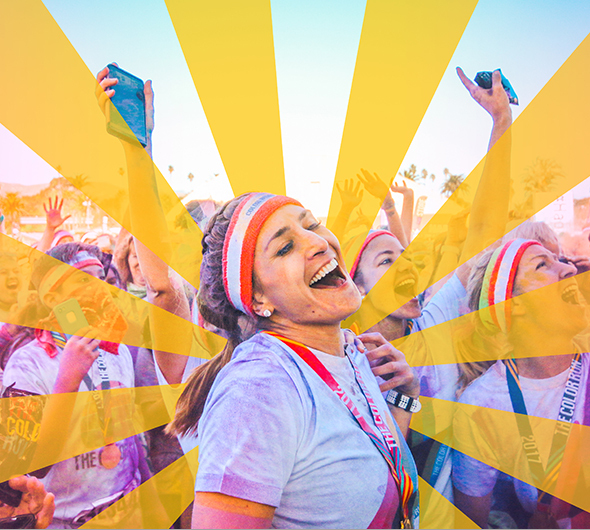 There you can celebrate completing the Happiest 5k. The most important thing to remember is that it’s not all that complicated. We just want you to come ready to have a good time! For additional info about parking, or what to expect at the festival, go to thecolorrun.com, find your event specific page, and click on “Event Details."